With their latest update, Logitech is bringing together your lights, locks, thermostat, blinds, entertainment system and more, in perfect Harmony. We are proud to be one of four new partners announced by Logitech. 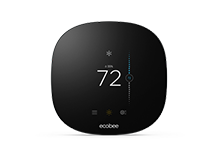 Together, Harmony and ecobee3 put you in control of your family’s comfort, and much more. Set pre-defined temperature settings for each of your Harmony Activities. For example, during your “Movie Night” Activity, set Harmony to automatically dim your LIFX lights, turn your TV on and tune into the Movie Network, and set your ecobee3 to make the living room extra cozy for your family movie night. Create your “Morning Routine” Activity and Harmony will automatically enable the Home Comfort Setting on your ecobee3, turn on your LIFX lights, and play your favourite early morning playlist from your Sonos, as you get ready for a new day. 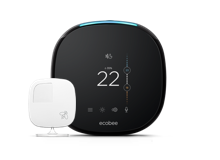 Logitech Harmony is another in a very long list of home automation protocols and hubs that ecobee is proud to work with. 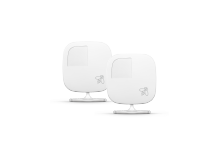 Spend less time worrying and more time enjoying your life thanks to ecobee3 and our integration with HomeKit, SmartThings, IFTTT, Control4, Vera, Castle OS, and of course our Open API. You can also create IFTTT triggers and recipes, and pair Harmony with SmartThings to further customize your Harmony experience.